Welcome back to another edition of our eToro guide series. Today, we are going to be looking at NEO, often dubbed the ‘Chinese Ethereum’, and see what this project is all about. Since NEO shares much in common with Ethereum, comparisons are inevitable, which is why we recommend you go ahead and read our Ethereum guide first to familiarize yourself with some of the terminologies we will be using. 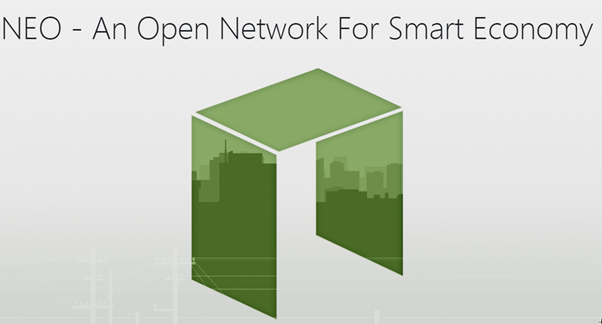 NEO was born as AntShares in February 2014 by Da Hong Fei and Erik Zhang. At the same time, the founders also founded Onchain, a blockchain consulting company to help form partnerships and increase the adoption of the NEO platform. One interesting aspect of NEO’s founding and subsequent development is its close relationship with the Chinese government, generally considered hostile to crypto, especially in the wake of the ICO-mania. This relationship, which the founders work hard to maintain, is a huge selling point for the project and is probably a big reason why NEO is now a top 20 cryptocurrency by market capitalization. As you may have already guessed, NEO is primarily a smart contracts platform for hosting dApps, hence the comparisons to Ethereum. 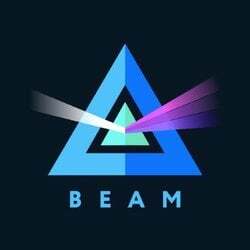 However, it aims to be more than that, envisioning itself as eventually being the hub for a decentralized smart economy. Some other things it plans on adding include digitizing real-world assets capabilities and cross-chain functionalities. While Ethereum still follows a Proof of Work model that they plan to soon upgrade to Proof of Stake, NEO starts off with its own form of Proof of Stake mechanism it calls Delegated Byzantine Fault Tolerance or dBFT. Byzantine Fault Tolerance is a classic problem inherent in distributed computing systems that require consensus to operate (such as blockchain). The gist of this problem is that a dishonest or malfunctioning agent in such a system can prevent the entire system from achieving consensus; hence, such as system must have inbuilt tolerances to such agents. Proof of Work consensus mechanisms implements BFT by making it computationally too expensive for such dishonest agents to disrupt. Proof of Stake mechanisms do this by giving agents with the most power to disrupt the system the most to lose in any disruption. NEO’s solution, dBFT, works by using consensus nodes, which require a two-thirds majority for consensus to be achieved. It is an iterative process by which if a two-thirds majority is not achieved, the process repeats itself until a consensus is reached. NEO token holders will be given the ability to vote on the selection of consensus nodes; this is the Proof of Stake part. At the time of this writing, there are currently seven consensus nodes on the network, which is the minimum amount required. The maximum number of consensus nodes is 1,024. While Ethereum has its own programming language called Solidity, NEO allows for the use of various commonly accepted programming languages such as C#, Java, Go, Python and Kotlin. One of the more confusing aspects of NEO that beginners have is the difference and distinction between the NEO and GAS tokens. This section will clarify common questions about both the NEO and GAS tokens. What is the purpose of the NEO and GAS tokens? Much like Ethereum, NEO allows dApps that use its platform to use their own tokens. Such tokens are called NEP5 tokens (short for NEO Enhancement Proposal), the equivalent of ERC tokens on Ethereum. Just like Ethereum, all dApps on NEO, even if they use their own tokens, still have to pay gas fees for every transaction, which is a primary demand driver for the token. However, unlike gas on Ethereum, which is denominated in ETH, gas on NEO is denominated in GAS, a separate token entirely. Hence, the core purpose of GAS is fuel for the network. As mentioned in the consensus mechanism section, NEO tokens allow its holders to vote on consensus nodes. Hence, the core purpose of the NEO token is governance, like shares in the network. What is the relationship between NEO and GAS? 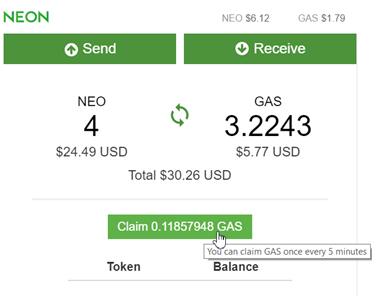 Although NEO and GAS are separate tokens and can be purchased separately, holders of NEO tokens are able to claim GAS. Think of it as the dividend payment for holding shares (aka NEO tokens) on the network. Below is an example of using the NEON Wallet to claim GAS. 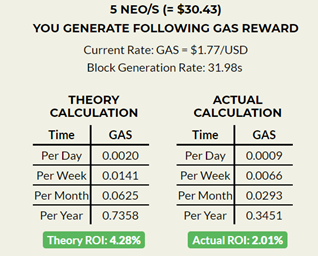 The amount of GAS you can claim based on your NEO holdings will vary depending on the rate that blocks are generated on the network. Note that you need to use a compatible wallet if you want your NEO holdings to be able to claim GAS (holding NEO on exchanges will not earn you GAS). What is the token supply of NEO and GAS? Both NEO and GAS have a supply hard cap of 100 million each. However, 65% of all NEO tokens were released during the crowdsale, with 50 million going to the public and the remaining 50 million being held by the governing NEO Council. On the other hand, because GAS is currently only able to be generated through holding NEO, its rate of circulation is much lower. At the time of this writing, its circulating supply is only about 11.8 million. What is the smallest unit of NEO and GAS? The smallest unit of GAS is 0.00000001. The smallest unit of NEO is 1.0. That’s right, NEO is indivisible, which seems impractical considering that its peak price was almost USD200. However, if you think of NEO as shares in the network, this indivisibility sort of makes sense. However, on a practical level, this indivisibility does cause some inconveniences. While exchanges allow you to keep NEO in decimal points for trading purposes, you cannot actually withdraw NEO in decimal points. One common solution is to convert fractional NEO units into GAS and then withdraw that instead. However, this is clearly not a perfect solution since some would prefer to own NEO instead of GAS. Is it possible to mine NEO or GAS? Because all 100 million NEO tokens were generated up front, known as a pre-mine, it is not possible to mine NEO tokens. GAS is also not able to be mined except through claiming it by holding NEO. With hype comes criticism, and the NEO project has more than its fair share of critics. The two most common criticisms have to do with its perceived centralization and the suspected lack of network scalability. The perceived centralization criticism comes from the fact that the governing NEO council controls a full 50% of the total NEO token supply and 100% of all seven current consensus nodes. NEO token holders are as of yet still unable to vote on the election of future consensus nodes, although the team plans to release this feature in 2019. One argument for a higher degree of centralization in blockchain is scalability. The faster consensus is reached, the faster transactions can be processed. This lack of scalability is one of the biggest issues facing major cryptocurrencies like Bitcoin and Ethereum. NEO, with its higher degree of centralization, claims to be able to process 1,000 transactions per second. For reference, Ethereum can currently only process about 15 transactions per second, and Bitcoin about half that number. However, scepticism has been raised around this figure, since several ICOs launched on the network, such as TheKEY, Trinity Network Credit, and Bridge Protocol, purportedly caused large network downtimes. This is what led to the suspected lack of network scalability. There is no question that NEO is a promising project with a lot of ambition. It has forged some strong partnerships and hit some major milestones, but the fact is that it still has a lot to prove. In the fast-moving world of crypto, it may seem that NEO is an old and established project, but in reality, it is still pretty new. With fewer than 80 dApps hosted on the platform currently, NEO still has a long way to go to catch up with Ethereum. 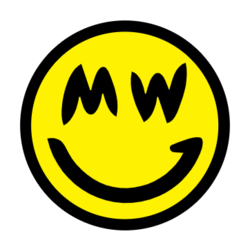 Yet, if it can provide adequate solutions to its most common criticisms and deliver more transparency to the community, the project has a very bright future ahead.